Ultra-luminous X-ray sources (ULXs) are point sources in the sky that are so bright in X-rays that each emits more radiation than a million suns emit at all wavelengths. ULXs are rare. Most galaxies (including our own Milky Way) have none, and those galaxies that do host a ULX usually contain only one. ULXs are also mysterious objects. They can’t be normal stars because their huge luminosities should then tear them apart. Most astronomers think that ULXs are black holes more than about ten solar masses in size (so-called intermediate mass black holes) that are accreting matter onto a surrounding disk and emitting X-rays. 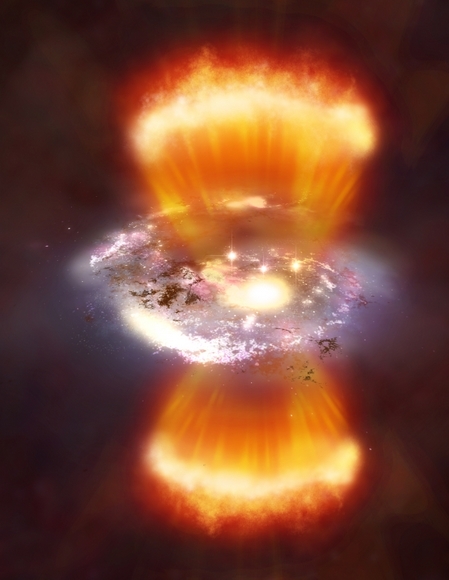 Bright X-ray emission is not unusual – the nuclei of galaxies also are bright X-ray emitters – but they are super-massive black holes, while ULXs are neither super-massive nor located in galactic nuclei. 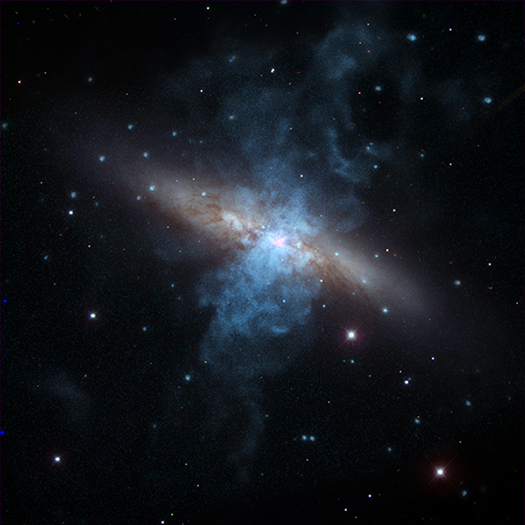 CFA astronomers Stefano Mineo and Andy Goulding and their colleagues used the Chandra X-ray Observatory to search for ULXs in a sample of seventeen luminous infrared galaxies that are exceptionally bright because of their extreme star formation activity. If star formation does signal the presence of ULXs, or even produce them, then these objects should have many. The team discovered fifty-three ULXs (with an uncertainty of about 30% ) among the 139 X-ray sources present in this sample. They report, however, that this ULX figure is actually ten times smaller than would be expected if ULXs correlated with simple star formation activity. They offer several possible explanations for this deficiency, including a surfeit of elements heavier than helium in these galaxies (these elements can suppress the birth of black holes). 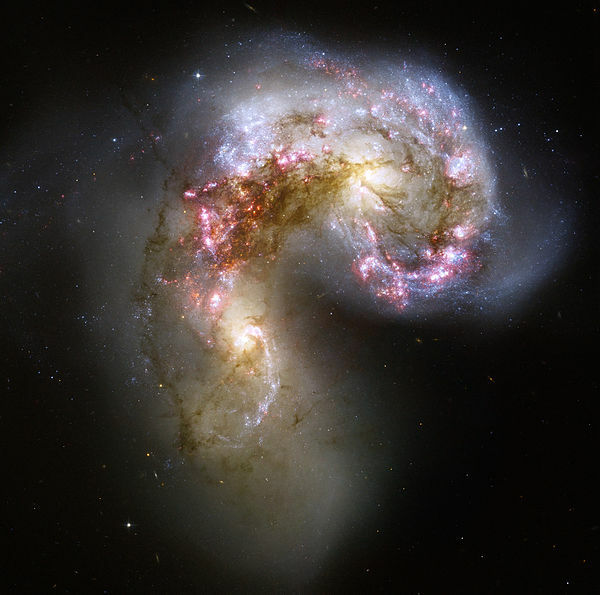 But the most likely scenario, they argue, is that large amounts of gas in these galaxies are present and absorbing X-rays, with the result that many of the ULXs present are not detected. 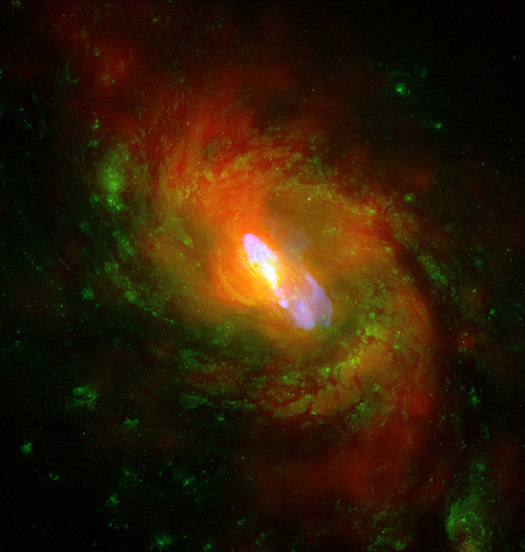 Their conclusion implies that deep X-ray surveys of galaxies must take absorbing gas into account when estimating their internal X-ray properties and how this radiation affects the galaxies’ properties and evolution.